So in an effort to learn, I took a $30 intro class at Skillshare but was disappointed to come out of the class not much more knowledgable than before. I still wasn't able to descriptively tell you "why" I liked what I tasted, only that I did. In comes Brooklyn Wine Exchange in Boerum Hill (same owners of Stinky Brooklyn and Smith & Vine) who holds free, yes free, wine classes throughout the week. This month focused on reds and each class was narrowed down by varietal grapes. 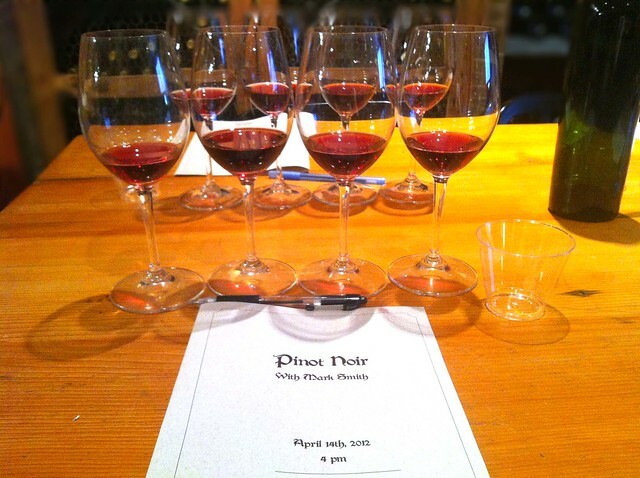 I've attended the Pinot Noir and Merlot classes so far and was able to describe more in depth the appearance, nose and palate of each wine. It seems that I like stronger, bolder flavors that are oakey, velvety and spicy. This kind of makes sense as I am big on old fashioneds and mezcal. From my Pinot Noir class, I ended up buying a bottle of Roots "Klee" and purchasing another bottle I saw on display called OPP (okay, yes, I bought it because of the label and name, BUT with more knowledge that I like wines from Oregon, earthiness and Pinot Noirs, so there!). From my Merlot class, well, most of the one's we tasted were too briny and acidic for me. The only one that I would recommend would be the Crosby Merlot only because it was the sweetest of the 5 samples. Anyways, you can learn more at Brooklyn Wine Exchange. There's a catch with the free class, which is, if you are not a member ($60 gets you discount and first dibs on classes) you can't make advanced reservations. Call beforehand to make sure there are seats left: 718-855-9463.